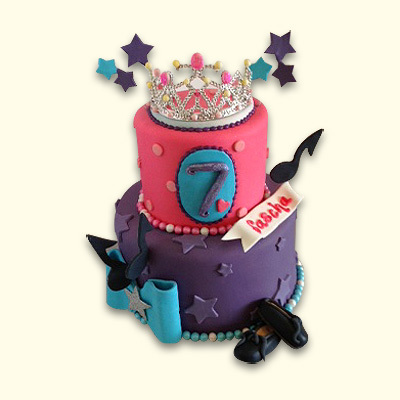 This whimsical cupcake cake is fun for all ages! Choose your favorite cake flavor and frosting. 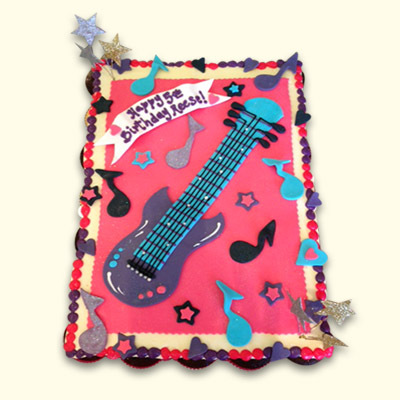 Embellished for any rockstar with neon fondant music notes, glittering shooting stars and a jammin guitar in the middle! 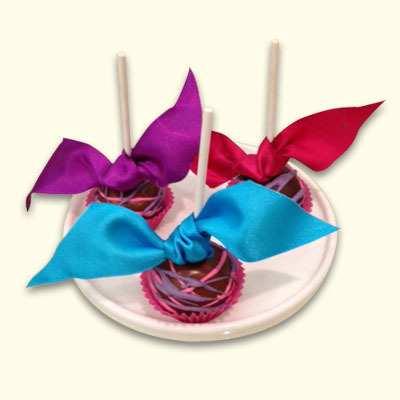 Specify the colors of your event to match the cake too! 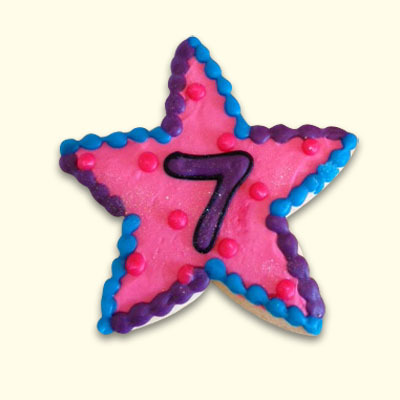 Seen with 24 cupcakes but other sizes available.